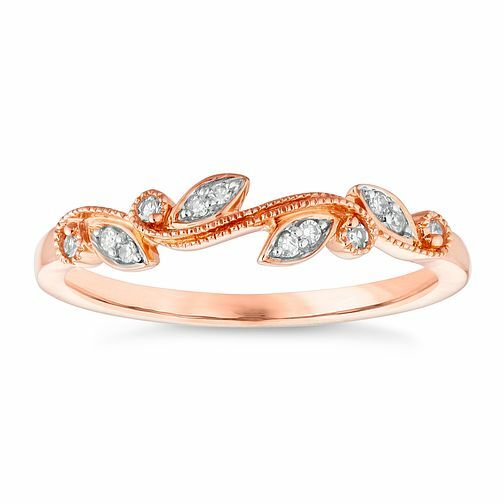 Designed with a delicate leaf motif, that entwines around the ring, this piece features diamonds studded on the petals for a glittering and natural-inspired look. 9ct Rose Gold Rhodium Plated Diamond Ring is rated 5.0 out of 5 by 1. Rated 5 out of 5 by Anonymous from Really happy with a very unique ring This beautiful rose gold ring reminded me of autumn days with leaves blowing along in the wind and that's just what it looks like on. It's delicate and understated and perfect.